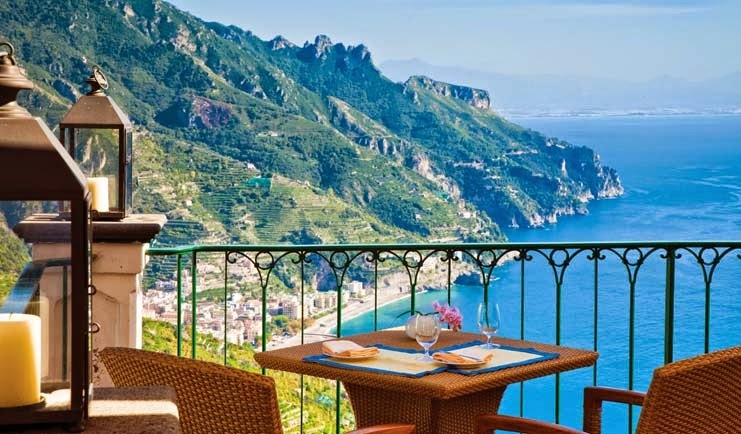 The Amalfi Coast is a fantastic destination where guests can enjoy warm weather, an exciting culture and delicious food and wine; book your stay across WhataHotel! and you can also enjoy Exclusive Complimentary Perks at the Best Hotels on the coast. 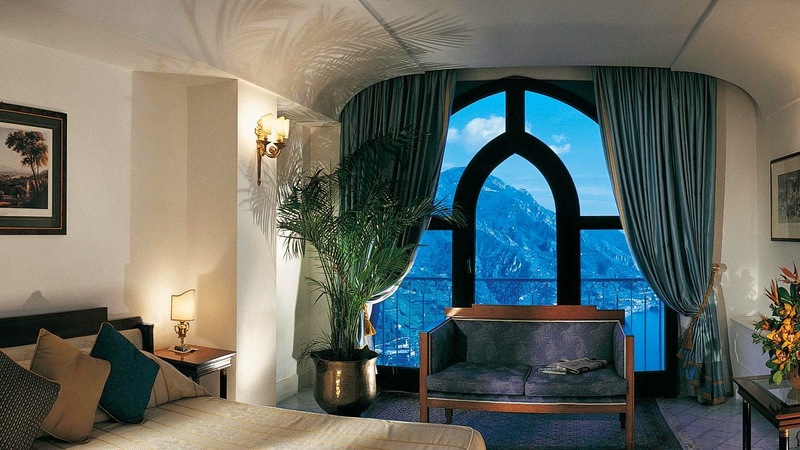 Palazzo Avino is one such resort that tempts visitors with a classic villa feel and fabulous views. 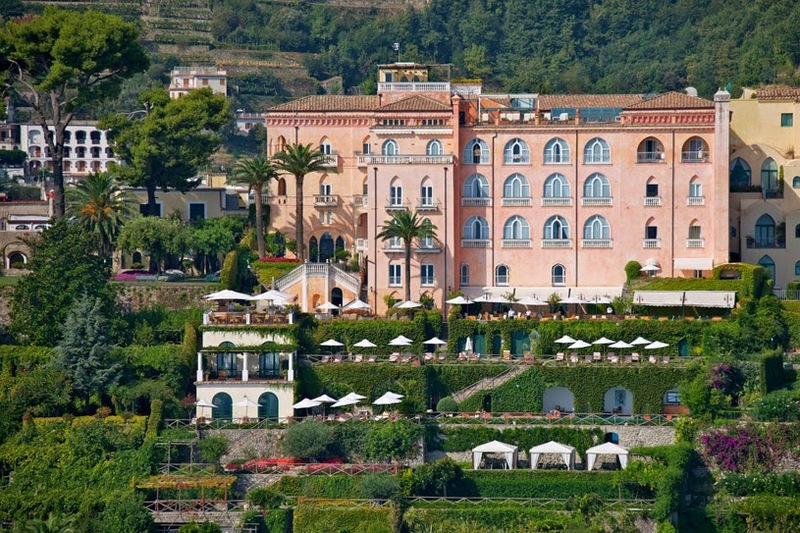 The Amalfi Coast and Palazzo Avino, the perfect combination. Imagine sitting 1000 feet above the beautiful Mediterranean Sea in a hotel that mimics a 12th c villa. Guests of the remarkable Palazzo Avino can expect just that, and so much more. This lovely hotel opened its doors back in 1997 and since then has offered guests award-winning accommodations as well as two-star Michelin dining options. All rooms and suites are gorgeous featuring handmade Vietri tiles, brass accessories, furniture from both the 18th and 19th centuries and antique carpets. Alongside the traditional decor guests can discover modern conveniences like i-pod docking stations, Bulgari amenities, a stocked mini bar and so much more. While the views alone are enough to captivate each and every guest, this location has many other ways to keep its guests entertained. For those fitness minded visitors there is the state-of-the-art gymnasium located in the gardens by the white gazebos. The 20 meter heated pool is near the gardens as wekk and features breathtaking views of the mountains and the sea while also offering guests a place to both workout or lounge around. Right next to the refreshing pool guests will find the hotel's full service SPA or head up to the rooftop solarium to find not only phenomenal views of the coastline but also two whirlpool tubs. Italian food is a favorite all over the world so it is no surprise that here at Palazzo Avino each person will enjoy truly tempting dishes. Everything from a romantic candlelight dinner to a casual yet delightful meal can be found. There is even a charming Lobster & Martini Bar for a absolutely unique but extraordinary experience. 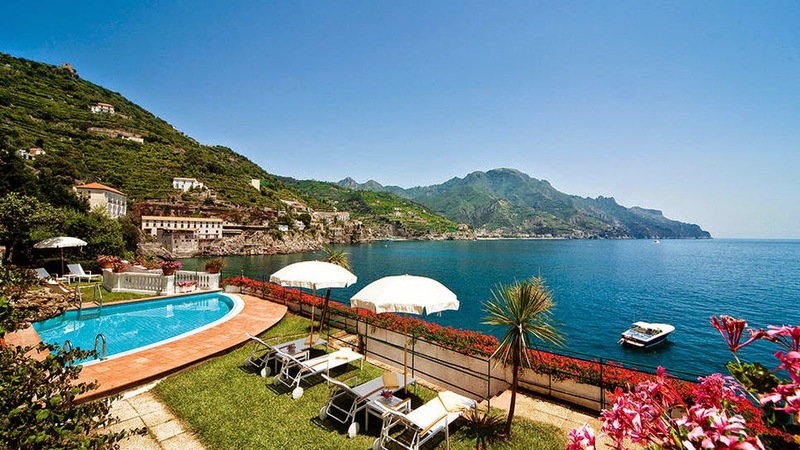 This heavenly hotel is considered a gem of the Amalfi Coast; stay here and discover for yourself what makes this site so magnificent. When booking your travel to Palazzo Avino across WhataHotel!, guests can realize great service, stunning accommodations and Exclusive Complimentary Perks for an outstanding deal. These incredible perks include available upgrades at check-in, a buffet breakfast for 2, a 50 Euros Spa credit, a bottle of Spumante, and the always sought after free Internet access. 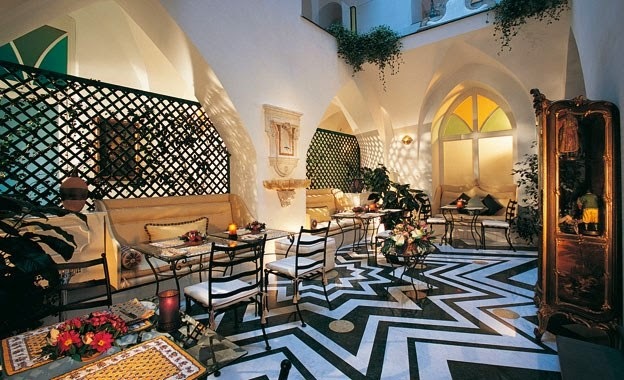 Guests of this splendid hotel have fallen in love with Palazzo Avino. The atmosphere as well as the staff ensure that your stay will be complete perfection in every way. Travel to the Amalfi Coast where fashionable tourists, a charming town center and chic restaurants guarantee your complete satisfaction.